A variety of dog clipart that includes doggy angels and some very nice dividers and lines. The images are small but very cute. Complete webpage background sets for a Schnauzer, Germnan Shepard, Corgi, Great Dane, Spitz, Chihuahua & "Jake"
A variety of various types of dog clipart. After you´ve viewed the clipart, click on "Animated GIF" on the left side of the page, then click on "Dogs" to see assorted dog animations too. Free dog and wildlife clipart. Small but very cute. This site also has a few iron-on dog graphics that can be downloaded and printed. Click on the thumbnails to view nice large dog images. 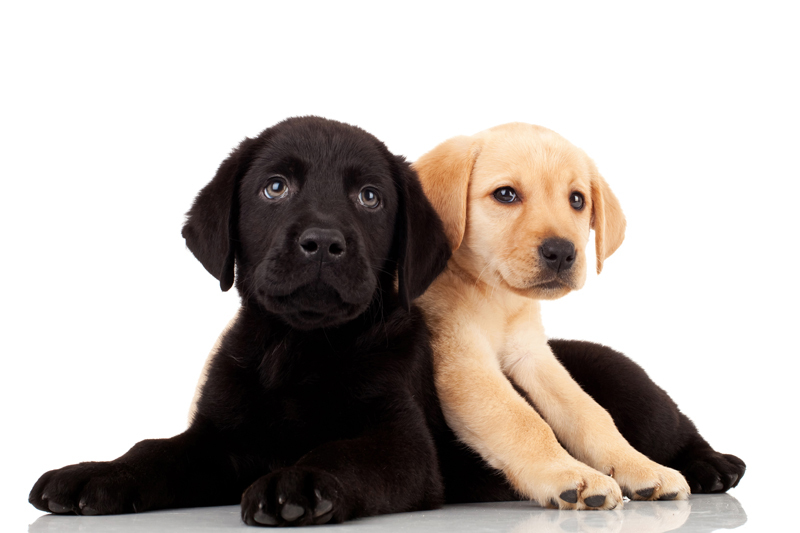 There are many breeds included in this large assortment of both color and black and white images. Arthur says it is only a small portion of the dog clipart he has available. If you can´t find what you want, email Arthur and he might be able to help. Clipart and cartoon type dog images. Some are better quality than others. Eleven pages of Aussie Graphics from Milwin Kennel. You must provide a link back to Milwin Kennel´s home page on every page that you use one of their graphics. Free for personal sites. A small fee may be charged for commericial usage. Zipped collections of black and white clipart that includes dogs. Adorable dog border sets with backgrounds, buttons and bars for many breeds. Free to use with a link back to Bordersets by Inge. A page full of adorable cartoon-type animations...bone chewing, dirt digging, ball playing, tail wagging dogs. Here´s many pages of beautiful Sheltie Clipart - free for use on your webpages - no alterations allowed. Pages of nice cartoon type dog clipart. Click on the small pictures to see the full size image. Lots of extremely cute animations, a nice bone line + few non-animated gifs. Pages of amazing Great Dane graphics in a variety of poses and Dane coat varieties. Great Dane lovers will love these! For non-commercial use only. Dog show graphics and breed specific graphics for your personal, non-profit homepages, as long as you follow a few rules. Page after page full of cute transparent dog clipart - lots of Golden Retrievers plus many other breeds too. Many border background sets with dog photos + a nice selection of embossed dog backgrounds. Cartoon type dog animations + lines, backgrounds, and assorted small icons. Cute original doggy graphics free for use on non- commercial websites. A very large selection of bordered background sets using actual photos of dogs. Many breeds are included, even some rare breeds, and puppies. Some breeds have several to choose from. Over 800 dog photos + cute animations and clipart including holiday and seasonal. Images are all conveniently shown as thumbnails. Click on thumbnails to see the full size graphic. Here's a glossary to explain the meaning of some of the canine related terms you might find here and on other sites about dogs. This page contains terms that begin with the letter C.
A huge selection of dog breed background sets - Offered free with a link back to Graphics By Barbara, using the matching logo provided with each set. Barbara will also make a personalized set for you in return for your permission to use your dog´s photos as a future model. Good quality images of various breeds, some realistic, others are cartoon-like. Dog breed bordered background sets. Breeds available - Weimaraner, Basset Hound, Cardigan Welsh Corgi, Chesapeake Bay Retriever, Dachshund, Dalmation, Golden Retriever and Sheepdog. Pages full of beautiful dog graphics and clipart that you may use freely with a link back to internetclipart.com. There´s dogs and puppies of many breeds...litters of pups, show dogs, search and rescue dogs, kids and dogs, patriotic dogs, I love ?? ?breed clipart. don´t miss these! Shiny gold clipart containing images of dogs. See "Muffin", "Sissy", "Pups", "Dash & Friends", and "Rudolf & Pup" (under "Winterworks") for adorable animated dogs by Kitty Roach. Cute Shih Tzu clip art plus a few animated Shih Tzu gifs. Free graphics for a link back to Small Paws Rescue - dog bowl, dog biscuit, pawprint and other background sets. Also pawprint, animal face and other animations. Lots of cute dalmation clipart and great dalmation animations, buttons and backgrounds. Most is original artwork. The dogs here are all dotted and spotted, but there´s also nice clipart doggy bones, dishes, leashes, etc. for any breed website. There´s also pages and pages of dalmation photos. See newborn puppies before they get their spots! A wonderful selection of dog clipart, including some background sets. Many breeds are included but there´s an especially good selection of Chihuahua graphics. Free for use on webpages with a link back. Dog clipart, animated doggies, doggy bars and lines, cartoon doggies, holiday doggies, and doggy webpage backgrounds. A nice selection of dog breed images from the West Virginia Humane Society. This content was written by . If you wish to use this content in any manner, you need written permission. Contact Bettina Thomas-Smith for details.